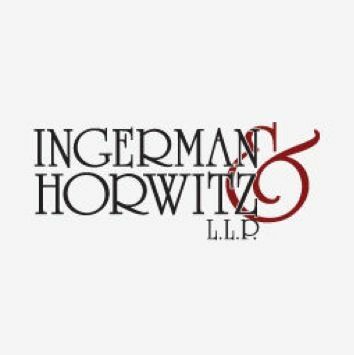 Ingerman & Horwitz, LLP - Ingerman & Horwitz, LLP, a law firm in Baltimore since 1990, can provide you with the best accident or injury attorney needed to help you in your case. Ingerman & Horwitz, LLP, a law firm in Baltimore since 1990, can provide you with the best accident or injury attorney needed to help you in your case. When you find yourself looking for a car accident attorney in the Baltimore region, you may find there are many choices for you but the services provided by the law firm of Ingerman & Horwitz, LLP stand out above all of the rest. Ingerman & Horwitz, LLP has, since 1990, been one of the most successful law firms in defending personal injury cases of all types. Ingerman & Horwitz, LLP will work closely with you on cases involving personal injury, auto accidents, Social Security disability, medical malpractice, worker’s compensation or any other cases involving personal injury. Discepolo LLP is a personal injury law firm in Baltimore. Jack J. Schmerling, Attorney at Law, professional for workers compensation. We can assist you with your case, now also serving Glen Burnie, Maryland for detailed information dial 410-787-0022. Give your child the help he needs growing up. With the assistance of the child support attorney at Law Office of Jane G. Loving, have the case in your favor.